« THE SHOW WILL GO ON, WE”LL CREATE OUR OWN BUNNY HOLE. HOORAH! THE BUNNY HOLE HAS BEEN CLEANED – PLAN B SCRAPPED. 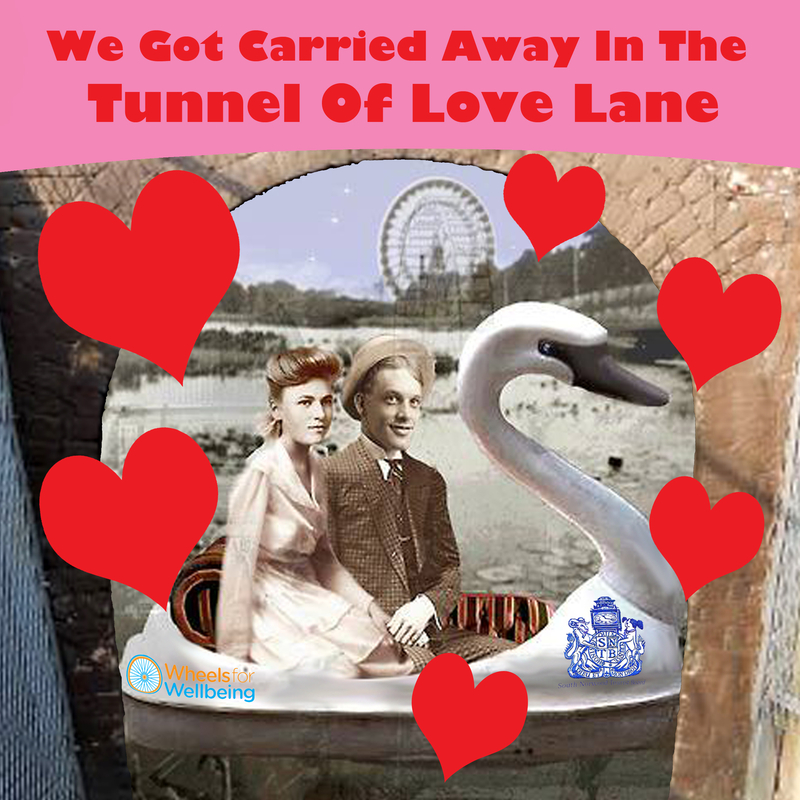 Never one to be put back by anything, prepare for a the ‘Tunnel Of Love Lane’ Extravaganza; a cross between Berlin’s Love Parade and Venice’s Regatta. Plan B has been scrapped and full steam ahead with our original plan. All in hand. I have tasked the enforcement team to get up there. Whatever needs clearing we will get onto. Just to let you that I have visited the Bunny Hole today and can confirm that the mattress and basses have been cleared also the footpath leading up to the tunnel and the tunnel its self have been swept and were clear of all litter, rubbish and fly tip. Meet at Harrington Road Tram stop at 2pm for an ‘Alice in Wonderland’ psychedelic experience, bespoke betrothal service, finally ending with a march to The Albert, where we will toast the couples and cut the cake (yes, cake) to the wonderful timeless tunes of Rose Plays Music. Remember you will be able to get your hands on our limited window stickers to mark the occasion, and there we will be making our sticks of Rock and postcards available for a small cost. All should be good and thanks to everyone for the support. Great that it is all going ahead but not clear about Love Lane.Are we going there on the tram from Harrington Road?